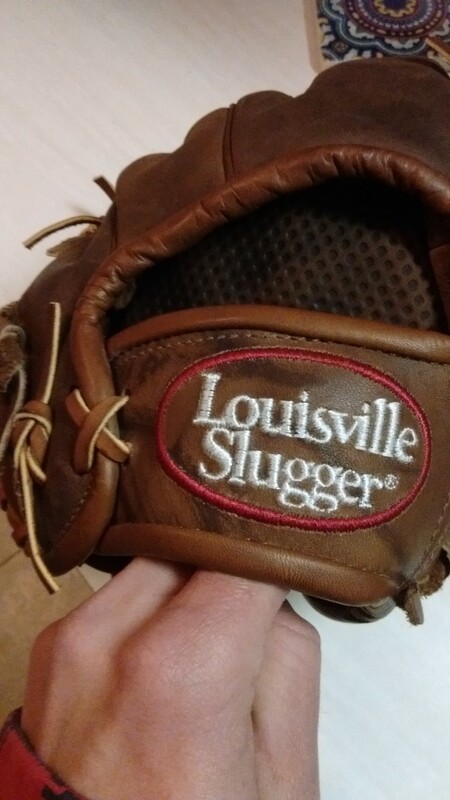 WWW.GLOVE-WORKS.COM BASEBALL GLOVE COLLECTOR FORUM • View topic - LS Icon Hot Glove victim or not? 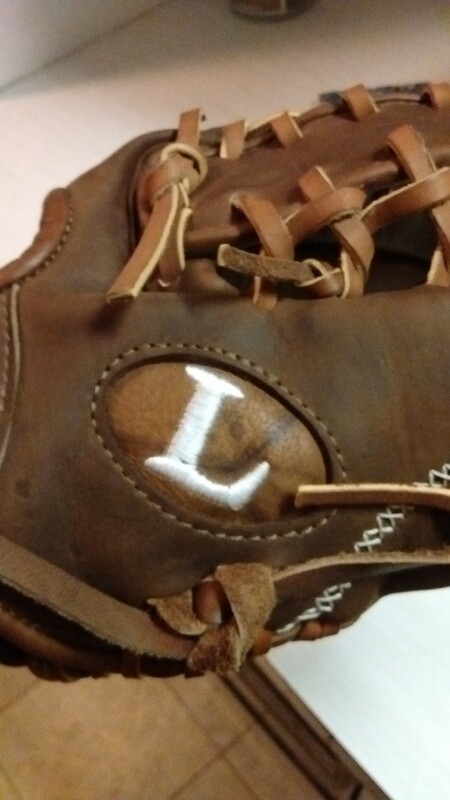 LS Icon Hot Glove victim or not? Post subject: LS Icon Hot Glove victim or not? I was shopping on Amazon for a present for my sister-in-law, and came across some LS Icons really cheap. I snagged a 12.75" for myself, as it is the time of year to give. I've relaced a few Icons, but they were all game used, so I don't know what these are like out of the box. 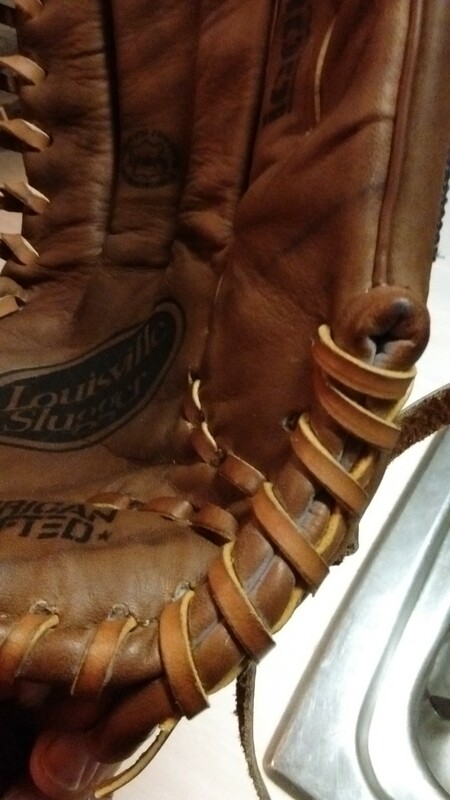 However, I def don't remember the leather being as dark as the one I received, nor do I remember streaks on the leather. (I know these are oil tanned.) Then I noticed the white residue near the heel binding. 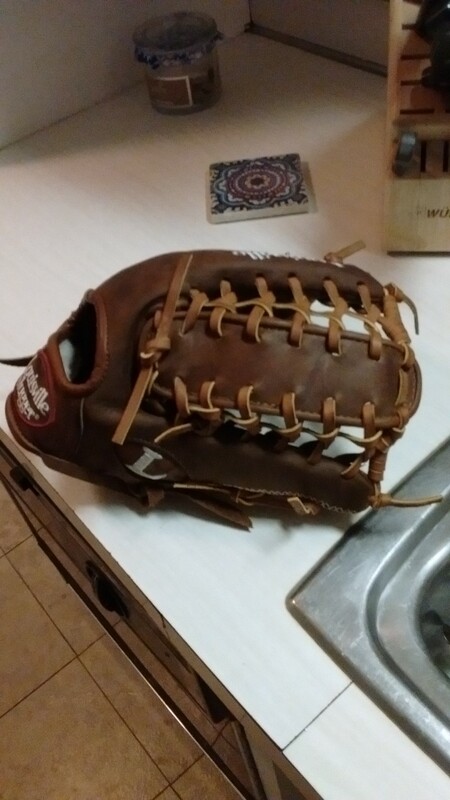 Doesn't Hot Glove leave a whitish grey residue like that? If anyone has an opinion, please let me know. Maybe I'm nuts here, and if that's the case, break it to me nicely.